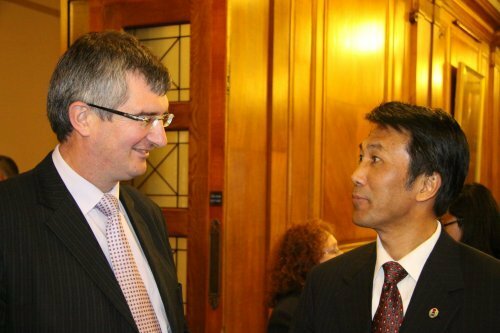 During his first trip to Northern Ireland yesterday, the Chinese Consul-General, Mr Li Ruiyou, attended an event in Parliament Buildings hosted by Tom Elliott MLA, Chair of the Committee for the Office of the First and deputy First Minister. 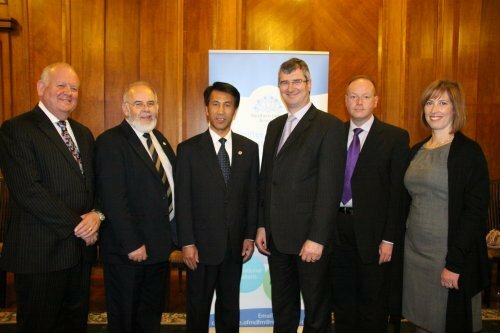 The event was an early celebration of China National Day (1 st October) and provided an opportunity for the Committee to expand links with China and to further develop relationships with the Chinese community in Northern Ireland. Listen to Mr Elliott outline why the visit is so important and what else can be done to build international relations. During the event, the Committee congratulated representatives of the University of Ulster on the recently awarded Confucius Institute. 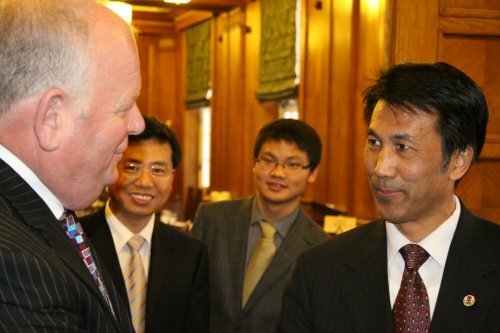 The Confucius Institute for Northern Ireland (CINIU) will develop academic, cultural, economic and social ties between the two countries. The institute will operate in partnership with the Zhejiang University of Media and Communications in south-eastern China. The OFMdFM Committee has the responsibility, within the Assembly, to lead the development of international relations and economic strategy.